We have written up some frequently asked questions and answers below to aid you in creating and managing memorial pages. If you can’t find the help you are looking for please feel free to contact us instead. Not very long at all! You can create the basis of the memorial in just a few minutes once you have created an account. Do I need to prepare anything first? No. 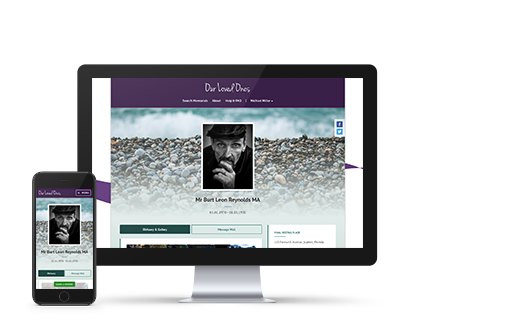 We have designed the service so that you can set up your page in your own time, returning at your own leisure to add your preferred words, photos and other content as well as choose designs and other individual setting options. When you are ready you can then publish your memorial and let all your relations and friends know. Do I need any computer programming experience? Nope! 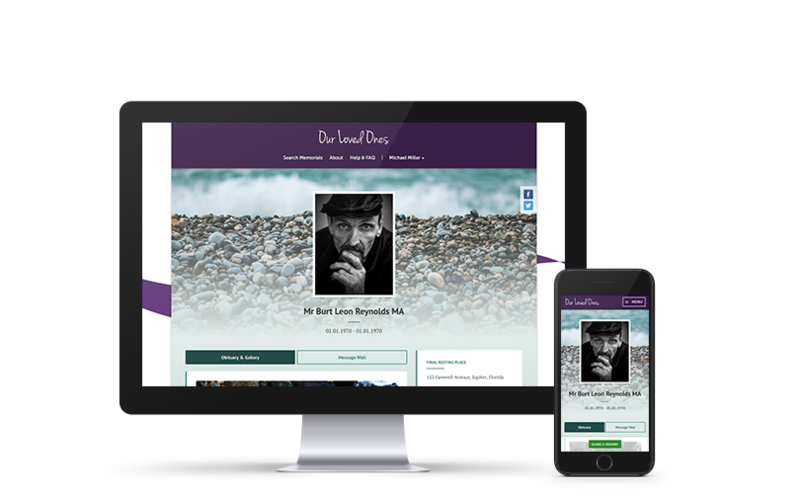 A fundamental aim of our free service is to enable all bereaved people, regardless of computing ability, to create a beautiful tribute to their loved one. The interface has been designed with ease of use in mind, but if you do run into any issues please feel free to contact us for support. Is there any cost or charge for creating a memorial? No. The service is completely free to everyone. No. If after creating your page and you decide it is not for you, then you can instantly deactivate it, however if (as we hope) you find it of comfort and support you can keep and develop it in perpetuity without any charge whatsoever. How much information can I put on my page? More than most people expect. Memorial pages can have a virtually unlimited amount of text and photos. In the future you’ll be able to add videos and audio as well! Where can I get help if I get stuck? If you get stuck with anything while using the website or trying to create a memorial page please feel free to contact us.